Today we are going to learn about compounds! When different atoms join together they form a compound. Compounds can range from a simple molecule to more complex structures, such as polymers and crystals. Let’s investigate what some simple compounds look like. In this activity, we will build molecules and match them to their chemical formula and name in order to help us become familiar with some different molecular shapes and molecular formulas. Use a molecule building kit such as Molymod or the Molecular Student Set . Snatoms would also work well and they look really fun, but they are more pricey. Print some pictures of molecules online or draw your own. On small pieces of paper or notecards, write the names of the molecules and their chemical formulas. Make a key card with the name of each atom, its symbol, and model color. Now put the pictures of molecules in one stack and lay the name/formula cards out so they can all be seen at once. Have the children build each molecule with the building kit, then match the molecule with its name and formula. Now let’s talk about some different ways molecules and atoms can combine to form more complex structures. Give the children a simple crocheted chain or yarn, or something similar (you can find easy instructions for hand-crocheting a chain online). The children can make the chains themselves, or you can pre-make them. Direct the children to notice how even though the yarn itself is not stretchy, the chain can stretch, twist, and bend, and then return to its normal shape. Polymers are like this. A polymer is a compound in which the molecules are arranged in a repeating pattern that is like a chain. Because of this, polymers are resilient, they tend to be flexible, and they are sometimes stretchy and pliable. Can you guess what things around you might be polymers? Rubber, wool, cotton, silk, and spider silk are examples of polymers. Cellulose, which is found in plants and in wood, is a polymer. Can you guess what things on your body are polymers? Your hair, nails, muscles, organs, and skin contain polymers, and your DNA is a polymer! That’s right - the chains that make up your DNA and RNA are actually polymers! Polymers are found abundantly in nature, and they are also manmade, such as plastic and manmade fabric such as polyester and rayon. In a small bowl, mix the glue and 3/4 c. water. 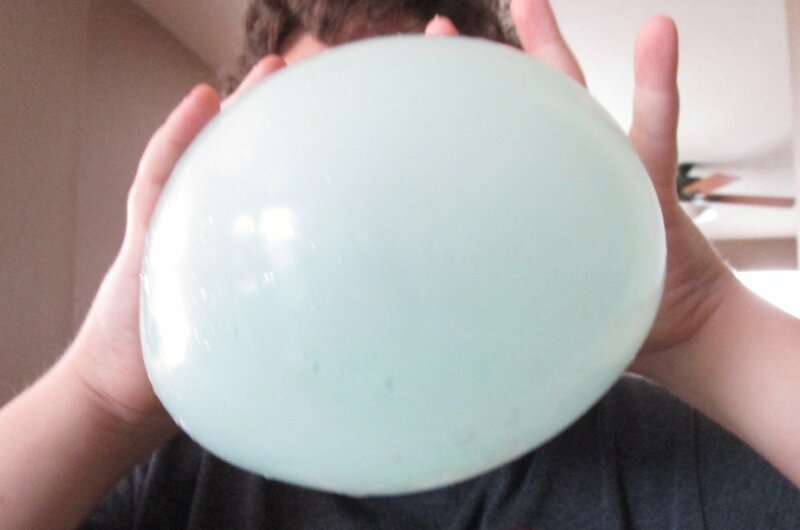 Add the food coloring, and then add your borax solution a little at a time until your polymer begins to take shape. Once it begins to take shape, take it out and knead it together until you have a stretchy, slimy goo! This recipe will give you a pretty viscous polymer that is a little bit stretchy. 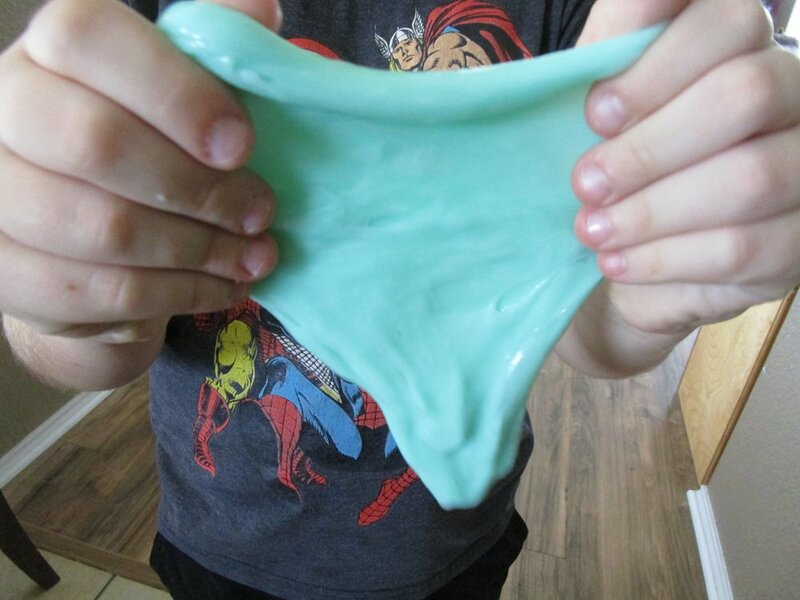 You can reduce the amount of borax to make a more slimy goo that is more stretchy. Play with your polymer and observe its qualities. What can you make it do? Crystals have a different molecular arrangement. A crystal is a solid that is formed when atoms or molecules are arranged in a repeating pattern that is three- dimensional. Some elements that form crystals are: carbon, silicon, aluminum, magnesium, iron, and calcium. Some compounds that form crystals are salt, sugar, and water. Take a look at some sugar and salt crystals through a microscope. What do they look like? Draw a picture! 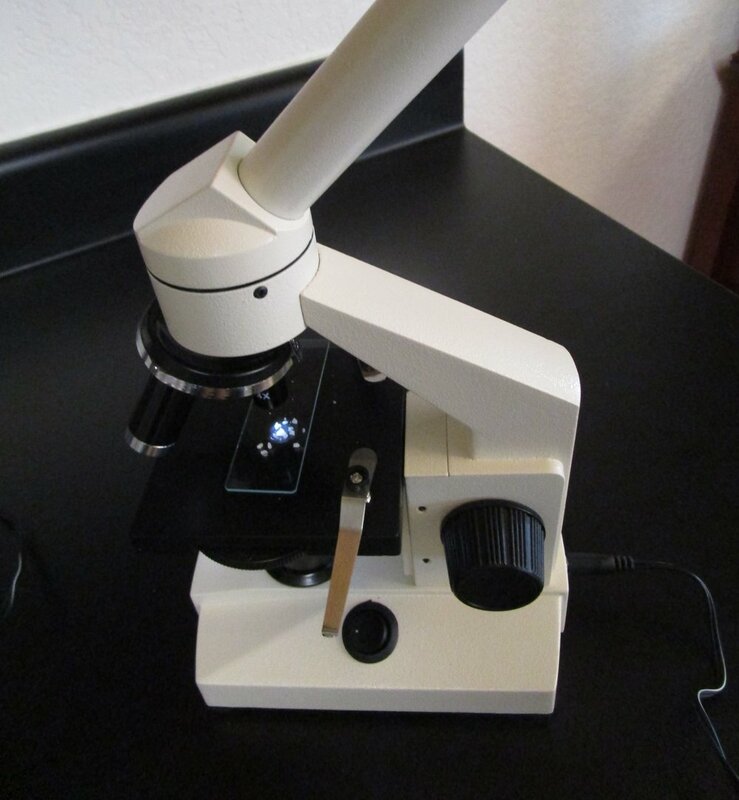 We used an Amscope to look at salt and sugar crystals. Let’s make a model of a salt crystal! NaCl, which is sodium chloride, or table salt, is a cubic crystal that alternates atoms of sodium (Na) and chloride (Cl). Take toothpicks and two colors of marshmallows and build one! Notice that in our NaCl model, we made sure to alternate two colors - one to stand for sodium, and one to stand for chloride. A marshmallow is not adjacent to the same color marshmallow in any direction, because in sodium chloride, a sodium atom is not adjacent to another sodium atom, and the same is true for chloride. They alternate because they have ionic bonds. 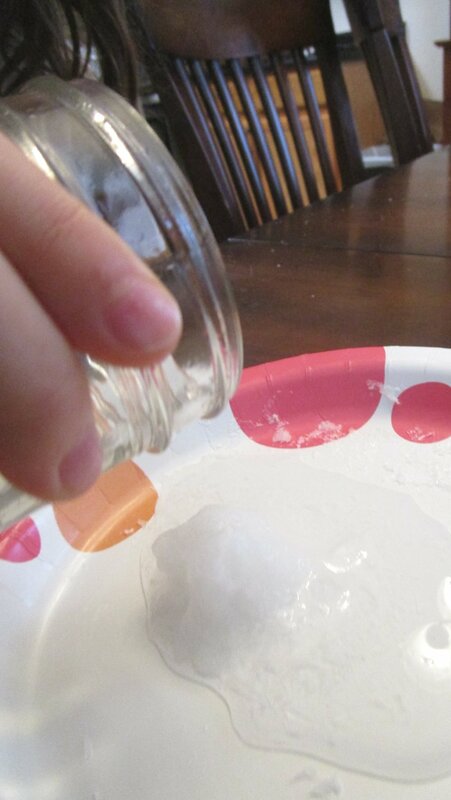 This is a super fun activity in which you can watch crystals appear before your eyes! This is how it works: create a super-saturated solution of sodium acetate by dissolving a lot of sodium acetate in a small amount of water by heating it up. 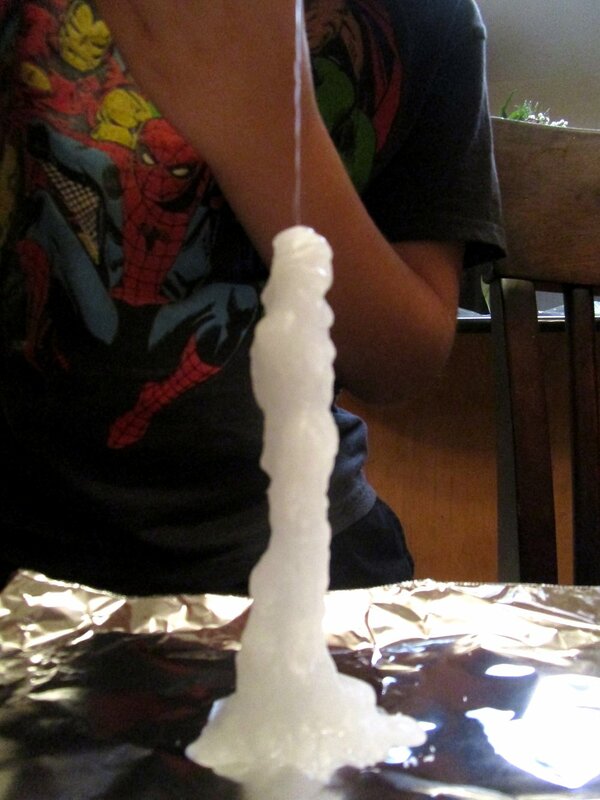 Allow the solution to cool, then add a single crystal of sodium acetate and watch the crystals form like magic! This works because the solution is super saturated, so it is very unstable. The crystals are eager to come out of the solution, so when given a nucleation site (a crystal to build on) they immediately form on top of it. Microwave in increments until the sodium acetate is completely dissolved and you see no more particles (start with 2 minutes and add 1 minute or 30 seconds at a time after that, depending on how much solid matter is still in the solution). When all of the sodium acetate is dissolved, cover the jar and let the solution cool to room temperature. Do NOT pour the solution out of the jar until you are ready to use it. Try not to disturb the jar either - you might begin the crystallization process before you are ready. 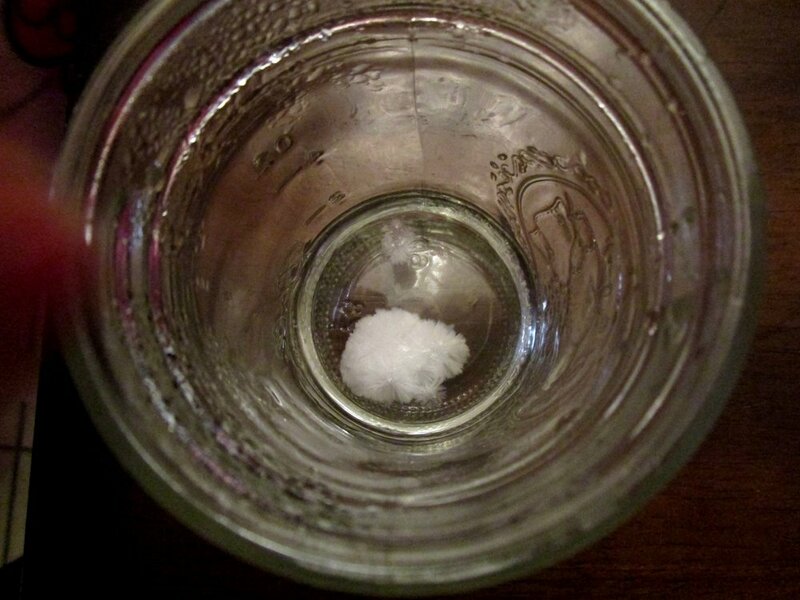 Should your solution crystalize before you are ready to use it, just add a tiny bit of water (about 1/4 tsp) and heat it up again until it is completely melted. 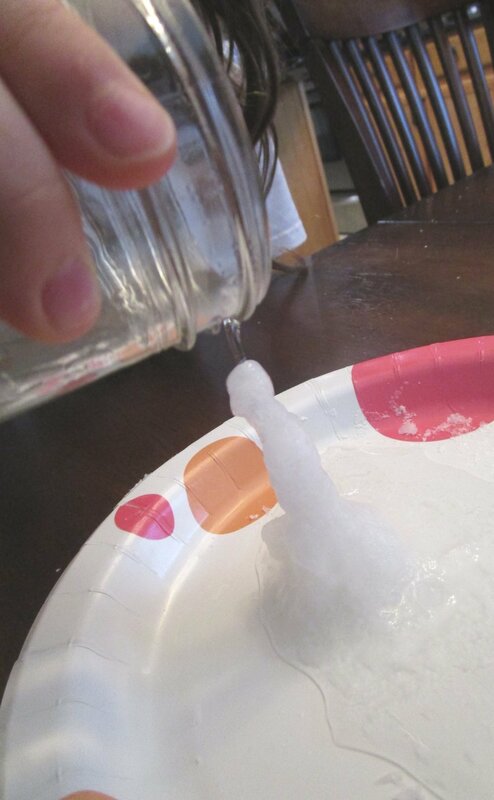 You can place a crystal of sodium acetate on a plate and slowly pour your solution on top of it. Watch a crystal tower form before your eyes! Be sure to notice the heat that it gives off as it crystalizes. This is called an exothermic process, because the formation of the crystals gives off heat. You can also drop a crystal into your jar and watch as crystals fan out from the nucleation site until all of the solution is crystalized. You can also start this process with a spoon or even by shaking the jar a little. You can reuse your sodium acetate solution over and over! Just melt it down again in a clean jar. Microwave it in increments until it is completely liquid. Start with 1 minute and go from there. You might need to add a tiny bit of water - 1/4 to 1/2 tsp. before you microwave it. But don’t add too much or your solution will not be saturated enough to form your crystals. Note: you can find instructions for creating the sodium acetate solution using baking soda and vinegar, but I do not recommend trying to do it that way. It is difficult to get it right and it will make your house smell terrible and your eyes burn because you have to boil it for so long (speaking from experience!). Also - you can divide this recipe in half or in thirds and it still works just as well. The amount that the recipe makes will give you a good sized crystal tower. I recommend dividing the water and sodium acetate into a few jars (do this before you heat it) so you can try forming the crystals in a few different ways. Have fun and let me know how it works!